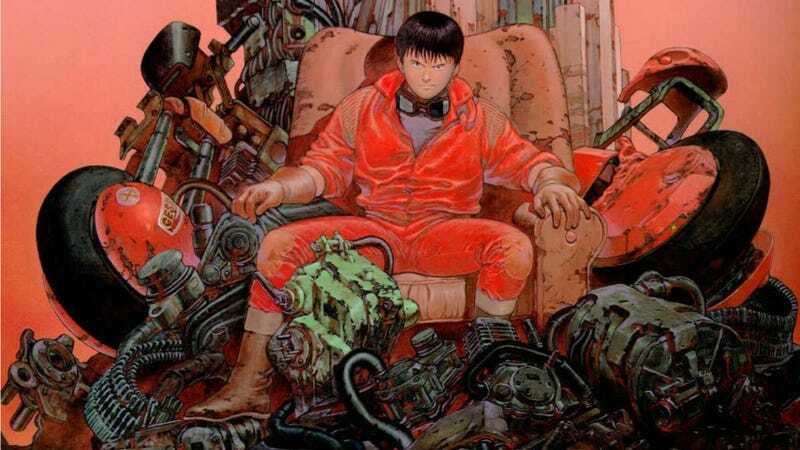 Cyberpunk manga Akira debuted in 1982—over thirty years ago. The manga, and subsequent anime, are set in 2019, against the backdrop of the forthcoming 2020 Tokyo Olympics. The upcoming Olympics are even mentioned in the original Japanese theatrical trailer for the 1988 feature film, which is, of course, based on the manga. The sign for the Olympic site that appears in the film reads: “147 Days Until the Tokyo Olympics.” Under that, it reads, “With everyone’s effort, let’s make this a success.” The sign says this is the 30th modern Olympic games (it will actually be a the thirty-second). Via Patrick Macias, here’s Olympic Stadium—in somewhat of a disarray! Pole vault. Or Javelin. Take your pick, really. High jump. Very high jump. Let’s hope this doesn’t mean Akira is going to get other things right, too. You know, like World War III. This article was originally published on September 9, 2013.